The 4L Shaker Roomfold Deluxe glazed internal bifolding door system provides a superb contemporary look to your room divider system. This unfinished 4L oak shaker door pattern from Climadoor has clear glazing and gives you a warm appeal to your room. 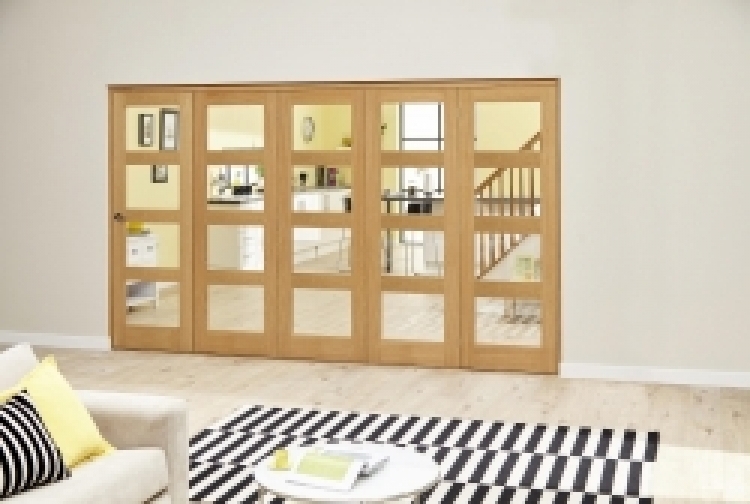 Available in 3 and 4 door systems, using either 533mm, 610mm 686mm and 762mm internal bifold doors you ensure that installation is made simple with no planing of doors on site and a simple installation routine to follow to assemble the doors and frame in the opening.